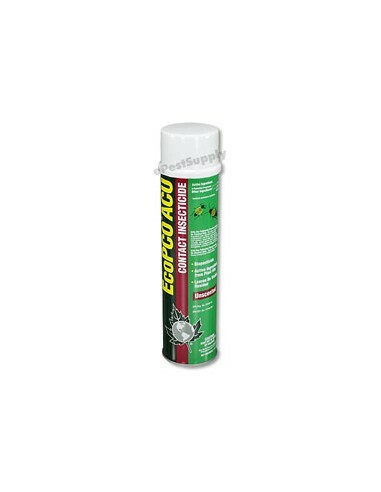 EcoPCO ACU Contact Insecticide is an unscented contact insecticide in an aerosol formulation offering quick knockdown and broad spectrum control. EcoPCO ACU is an ideal substitute for pyrethrum products. 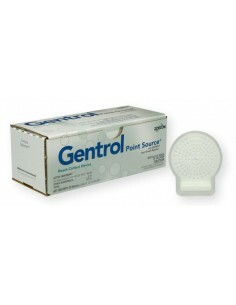 It provides strong flushing action, is non-staining, and does not cause bait contamination. EcoPCO ACU can be used to kill pests in, on or around residential, commercial and industrial buildings and their surroundings. Shake Well Before Using. Spray directly on insects and in cracks and crevices. Comes with injector nozzle tip for easy use. Always read instructions/directions on the label for usage. and other crawling pests. Flying Pests: Flies, gnats, mosquitoes, moths, yellow jackets, wasps and other flying pests. EcoPCO ACU Contact Insecticide Manufacturer: EcoSmart Technologies, Inc.